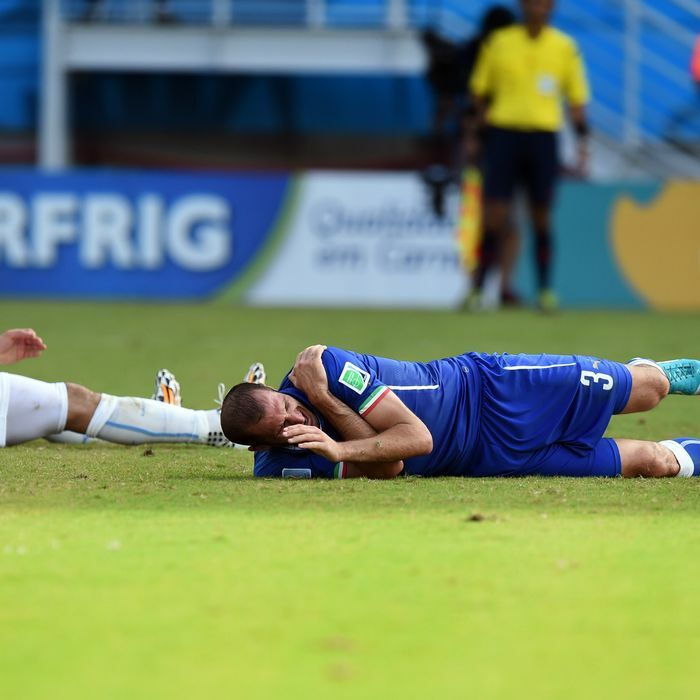 Luis Suarez and Italy's Giorgio Chiellini. Uruguay’s Luis Suárez was suspended for two games in 2010 for biting an opponent, and then suspended for ten more last year after biting another. He was at it again at the World Cup today, appearing to bite Giorgio Chiellini in Uruguay’s 1–0 win over Italy that advanced Uruguay to the knockout round and eliminated the Italians. Suárez, who was also suspended in 2011 for racial abuse of an opponent, was not given a card by the referee in today’s match. 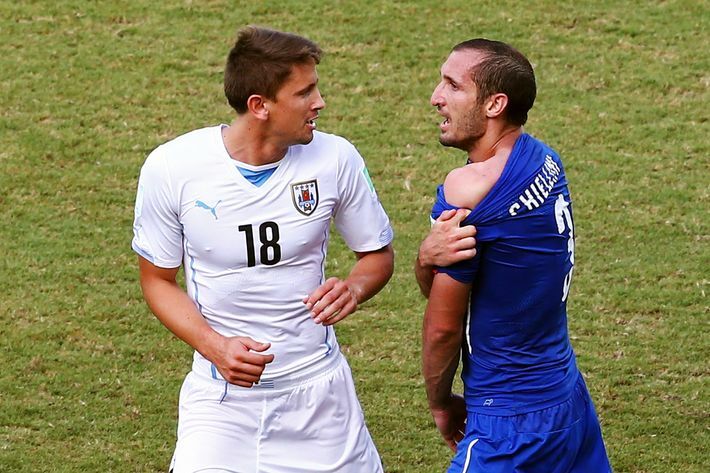 Chiellini showed the mark on his shoulder to the ref in an attempt to draw a card for Suárez, but to no avail. 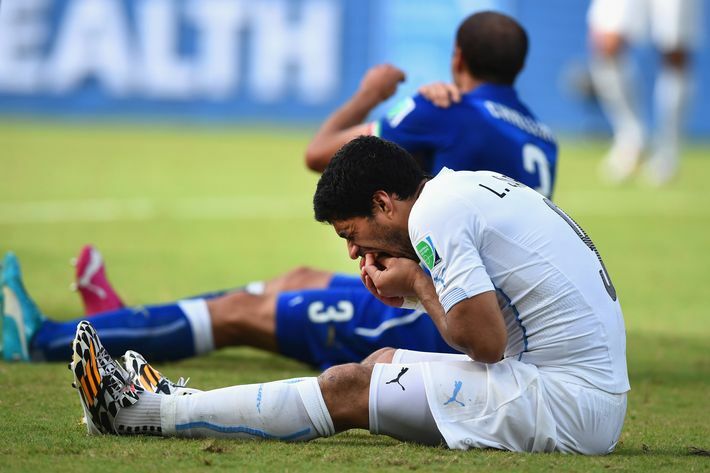 Though the sight of Suárez holding his teeth in pain might have also tipped off the referee that something was up.